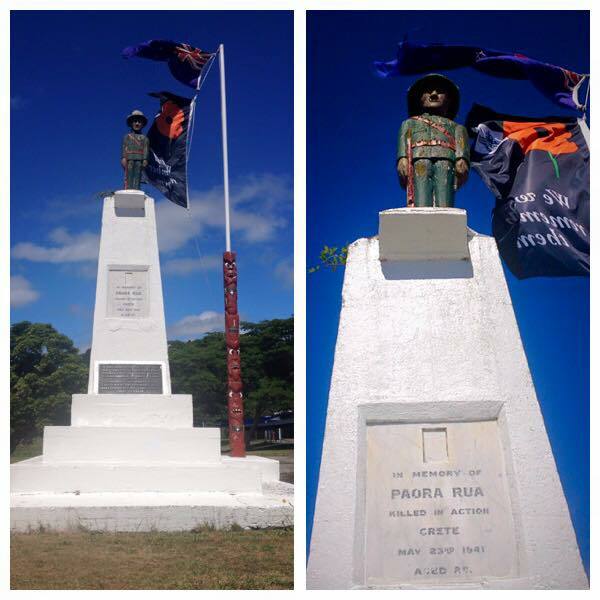 Memorial to Paora Rua at Te Kura o Waiohau on the lands of Ngati Haka Patuheuheu. Paora was killed in action on Crete on 23 May 1941. He has no known grave and as well as being remembered here his name is on the Phaleron memorial in Athens, Greece.